Painting flowers is sometimes tricky. But all you need is some patience and practice, then you will master the art of painting flowers. 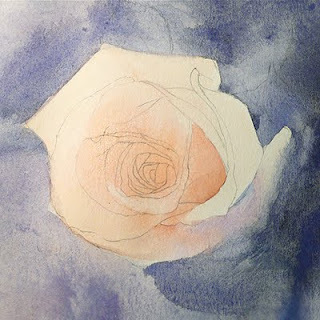 This article is going to show you step by step of painting a pink rose in watercolor. 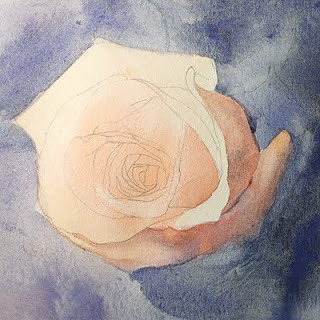 This demo requires both wet-in-wet and wet-on-dry technique. a. 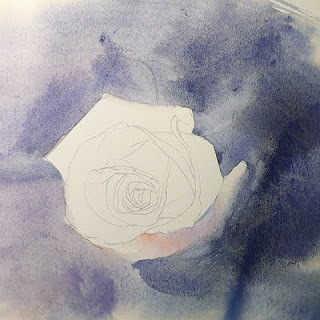 Keep in mind that where is the light source, and where the dark side of the flower is. b. Treat the all petals as a group. Sometimes we focus on detail too much, we forget the whole picture of the painting. 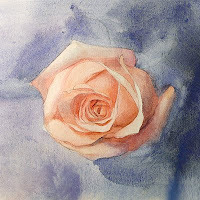 As a result, the painting would lose it’s harmony, and the each petal would look like not belong to a same flower. 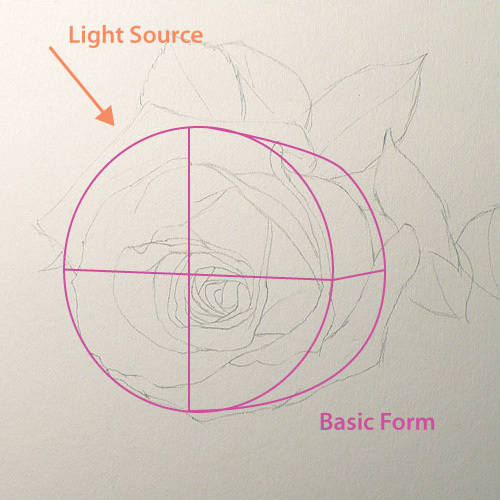 As this picture shows, the rose can be simplified into a cylinder shape. 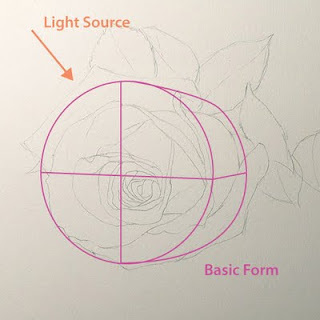 Keep the basic shape and the position of the light source in mind while you are painting. 1. 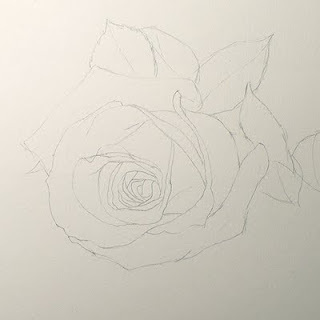 Start with a lightly penciled drawing on a watercolor paper. 2. 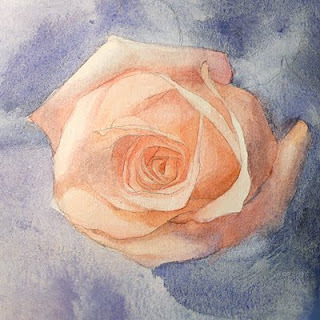 Wet the background with clear water and paint a blue-gray wash on it (wet-on-wet technique). It should be a little darker where it is further a way from the light source. 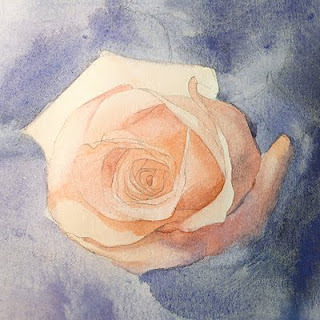 Wait until the paper is complete dry. 3. Paint a pink wash of the whole rose, and make the center part little bit darker. 4. Start painting the petals one by one. Remember to break them down into basic forms too. 5. Gradually paint the shadow parts darker. 6. Paint the from shadows and the cast shadow of the petals. 7. Darken the center folds and creases to give it more three dimensional look. 8. Final touch: Darken the folds and some cast shadow one more time. Best color combination of the painting which is essential in graphic design should also be remembered because it makes a design more fascinating..